Figure 1: Front cover of Handsat Ūqlīdis fī aydin ‘arabiya (Euclid's geometry in Arabian hands) by Ahmad Salīm Sa‘īdān (Amman, 1991). Since the Histoire des mathématiques published beginning from 1758 by the French mathematician Jean-Etienne Montucla, and which is considered unanimously as the first history of mathematics worthy of the name, Arabic mathematics attracted the attention of historians and progressively, especially since the middle of the 20th century, it evolved as a sub-field of history of science and became the area of a special expertise in which intermingled the skills of confirmed mathematicians to the cultural sense of professional historians. The historians engaged in this field came from all over the world. Among them was an Arab and Palestinian who distinguished himself since early 1960s when he began to publish original works that attracted the attention of his colleagues. His articles and soon his books were acclaimed and after few publications in Arabic, his papers appeared (beginning from 1966) in the famous journal of history of science Isis founded by George Sarton. This scholar is Ahmad Salīm Sa'īdān, a Palestinian from Safad who settled in Amman for a long period of his life. 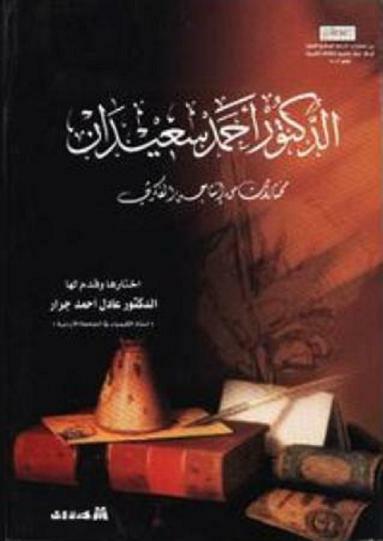 Figure 2: Front cover of Al-Duktūr Ahmad Salīm Sa‘īdān: Mukhtārāt min intājihi al-fikrī, selected and introduced by Khālid Ahmad Jarrār (Amman, 2002). The fate of Sa'īdān as a historian of mathematics came in the context of a real school of history of science which flourished in the Arab world since the 1940s with the publication of historical works by the Egyptian scholars Mustafa Nazif and ‘Ali Mustafa Mushrafa, followed by an ambitious generation of young experts who will have a great career in this field, first at home then abroad, Abdulhamid Ibrahim Sabra and Roshdi Rashed (from Egypt), and Mohammed Souissi and Ahmed Djebbar (from Tunisia and Algeria, respectively), and George Saliba (from Lebanon). On January 23, 1991, the remarkable historian of medieval Arabic mathematics, Professor Ahmad Salīm Sa'īdān died in Amman, Jordan. Sa'īdān was born in 1914 into an Arabic family in Safad (Palestine). He was a student of the Arabic College in Al-Quds (Jerusalem) and at the American University in Beirut, where he took the degree of Bachelor of Science in mathematics in 1934. Beirut had a strong tradition of studies in the history of Arabic mathematics, and young Sa'īdān was attracted to this field. After having a Bachelor from London University, his investigations on Arabic mathematics later earned him a Ph.D. from Khartoum University in Sudan. As Professor of mathematics, Sa'īdān taught in Arabic colleges and universities in Palestine, Sudan, and Jordan. After his retirement in 1979, he became President of the University of Abu-Dis in Jerusalem, but he was expelled by the Israeli occupation forces in 1981. Figure 3: A page from a 13th-century Arabic recension (tahrīr) of Euclid's Elements by Nasīr al-Dīn al-Tūsī. © Edinburgh University Library. (Source). The analysis of the original texts with the tools of history of science to reconstruct content and retrace intercultural influences. Thus, his work as a historian of mathematics led him to pay a special interest to the influence exerted on the development of Arabic mathematics by the Indian and Greek traditions. But at the same time, he was aware of the fantastic progress represented by methods of demonstration and mathematical discoveries brought about by Arab and Muslim mathematicians. In this sense, he had an overall view on the Arabic mathematical tradition and tended to cover its two main wings in the Islamic East and West, mainly in his reconstruction of the history of Arabic algebra, from its emergence in the work of Al-Khwarizmi in Baghdad in early 9th century, until its later stage in the works of the mathematicians of the Maghrib, Ibn al-Banna al-Murrakushi (d. 1321) and al-Qalasadi (d. 1406). Figure 4: A page from Kitāb al-jabr wa l-muqābala, the first extant algebra text, written in about 825 by Muhammad ibn Mūsā al-Khwārizmī. (Source). During a career that lasted for several decades, Ahmad Salīm Sa'īdān attended congresses and scientific meetingsy the first prize awarded by the Kuwait Foundation for the Advancement of Science. Besides his work as historian of science, he was also interested in the actual state of science in the Arab world and translated several scientific textbooks. Likewise, he participated to the reflexion on the Arabization of science and on the improvement of teaching science in the Arab universities. In this regard, he was sensitive to the status of Arabic as a scientific language and manifested the desire to see it resuming again its status of vehicle of scientific creation as it was in the past. Sa'īdān's first well-known paper, "The Rasa'il of Biruni and Ibn Sinan: A rearrangement," appeared in Islamic Culture in 1960. In this paper, he investigated the famous Bankipur manuscript containing many treatises of al-Biruni (973-1048) and his predecessors and contemporaries. In this manuscript, there had been confusion about the pagination of certain treatises by these scientists. In his investigation, Sa'īdān not only straightened this out but also discovered an earlier unknown treatise of Ibrahim Ibn Sinan (908-946) titled al-Masa'il al-mukhtara (Selected Problems). Figure 5: Page from a manuscript of the Algebra (Maqālah fi al-jabr wa-al muqābalah) of ‘Umar Al-Khayyām (1048-1131). Manuscript on paper, 56 leaves, 13th century. Columbia University Libraries, RBML, Smith Oriental MS 45. (Source). Five years later in the same journal, Sa'īdān published "The development of Hindu-Arabic arithmetic", a study devoted to the history of Arabic arithmetic with Arabic numerals (called by the Arabs "Indian"). In this paper, he published an English translation of part of an arithmetical treatise he discovered by the 10th-century Syrian mathematician Ahmad al-Uqlidisi dealing with decimal fractions. Thus, Sa'īdān had found the first example in the history of mathematics of the application of decimal fractions, many centuries before Emmanuel Bonfils, Jamshid al-Kashi, and Simon Stevin. Figure 6: Page from Al-Kitāb al-Fakhrī [the Fakhri book] of the mathematician Al-Karajī (d. 1029) in which he presented geometric demonstrations of an equation. (Source). Figure 7: Front cover of Muqaddima li-tārīkh al-fikr al-‘ilmī fī al-islām (Introduction to the history of scientific thought in Islam) by Ahmad Salīm Sa‘īdān (Kuwait, 1988, ‘Ālam al-ma‘rifa, No. 131). In 1966, Sa'īdān published a paper in Isis on Kitab al-Fusul fi al-Hisab al-Hindi (Book of sections on Hindu arithmetic) of Abu Ahmad ibn Ibrahim al-Uqlidisi, which is the earliest extant Arabic arithmetic. This paper gave an analysis of the arithmetical treatise by al-Uqlidisi. Later on, he published a complete English translation in 1978. During the 1970s, and in parallel with the publication of the volumes of the Dictionary of Scientific Biography in New York, Sa'īdān wrote a series of articles on the medieval Arabic mathematicians Kushyar ibn Labban al-Jili, al-Nasawi, al-Qalasadi, Ya'ish al-Umawi, al-Uqlidisi, and al-Baghdadi. Those entries were either the result of earlier works he already published or the first interest he had for certain names of scholars on who he was going to work in the coming years. This was the case for Al-Umawi, the mathematician of 15th-century Syria from Andalusian origin, of whom Sa'īdān published the treatise of arithmetic in Aleppo in 1981. In 1974, Sa'īdān published an article in Isis, "The arithmetic of Abu ‘l-Wafa", devoted to the arithmetical treatise of the famous Baghdad mathematician and astronomer al-Buzgani (940-998). The complete Arabic text of this treatise, based on manuscripts held at Leiden University and the Cairo National Library, was edited by Sa'īdān in Amman in 1971 together with an introduction, commentary, and ample references to the Arithmetic of al-Karaji (d. ca. 1030). The treatise of al-Buzgani is a very famous arithmetical text containing the only known instance of negative numbers. Figure 8: Page from a Latin version of Euclid's Elements, Liber elementorum in artem geometria (Venice, 1482). This Latin version is thought to have been translated from Arabic by the English scholar Adelard of Bath (12th century), with a commentary by Campanus of Novara. (Source). At a conference devoted to the millennium of al-Biruni held in Karachi, Pakistan in 1973, Sa'īdān lectured on "The trigonometry of al-Biruni". Three years later, at the International Symposium for the History of Arabic Science in Aleppo, his lecture was on "Number theory and series summation in two Arabic texts". In 1977, he published the Cartography of al-Biruni and the Treatise on Amicable Numbers by Thabit ibn Qurra (836-901). The year after, he published "Theory of numerical triangles of al-Khazin," a study on the theory of Pythagorean triples in the treatises of Abu Ja'far al-Khazin (d. ca. 965; not to be confused with Al-Khazini, d. ca. 1120). Sa'īdān also edited the complete mathematical treatises of Ibrahim Ibn Sinan, the genius mathematician of the 10th century who was the grand-son of Thabit ibn Qurra, together with an introduction and commentary. These treatises played an important role in the history of geometry since Ibn Sinan's treatise On the mensuration of a parabola is the first in the history of mathematics to use a general affine transformation of plane figures (polygons and segments of parabolas), and his treatise on the construction of conic sections is the first to employ a plane projective transformation mapping a circle onto a hyperbola. Figure 9: Nasīr al-Dīn al-Tūsī's (d. 1274 CE) record of Euclid's proof of the Pythagorean Theorem. (Source). Figure 10: Extract from an Arabic mathematical text on the concept of the decimal fractions, which is attributed to Stevin (around 1600), whilst the existence of such fractions in Arabic mathematical works is attested as early as the 10th century. (Source). See: Seeking Science from the Lands of Islam by George Saliba. In his obituary of Sa'īdān, Boris R. Rosenfeld, a notable historian of Arabic sciences, wrote as a conclusion: "My correspondence with Sa'īdān began when he was living in Khartoum and I was in Moscow. We often exchanged copies of Arabic manuscripts, printed texts, and our own publications. The death of Sa'īdān is an enormous loss for historians of mathematics around the world" . Many of the late Professor Sa'īdān's books and articles contain editions of medieval Arabic texts on arithmetic, algebra, geometry and astronomy. A large number of these editions seem to be virtually unknown outside of the Arabic world, although his works were privileged sources of work for his colleagues, the professional historians of Islamic science. 1968: Nasir al-Din al-Tusi, Jawami' al-hisab bi-'l-takht wa-'l-turab. Beirut: The American University, 1968, 292 pp. 1971: Ta'rikh ‘iim al-hisab al-arabi. Al-juz' al-awwal: hisab al-yad [History of Arabic arithmetic. Part 1. Finger reckoning. Amman: Jam'iyat ‘ummal al-matabi' al-ta'awuniyya (in Arabic). [Includes Abu ‘l-Wafa al-Buzgani, Kitab fima yahtaj ilayhi al-'ummal wa-'l-kutab min ‘ilm al-hisab (On the science of arithmetic necessary for scribes, workers and others)]. 1971: "‘Ilm al-Hisab ‘inda I-'Arab" [The science of arithmetic among the Arabs]. ‘Alam al-fikr (Kuwayt) vol. 2, pp. 161-194 (in Arabic). 1973: Ta'rikh ‘iim al-hisrib ai-'arabi. ‘Al-juz' al-thani. AI-fusul fi i-hisdb al-Hindi li-Abi ‘I-Hasan Ahmad ibn Ibrrahim al-Uqlidisi [History of Arabic arithmetic. Part 2. The chapters on Indian Arithmetic by al-Uqlidisi]. Amman: University of Jordan Press (in Arabic). 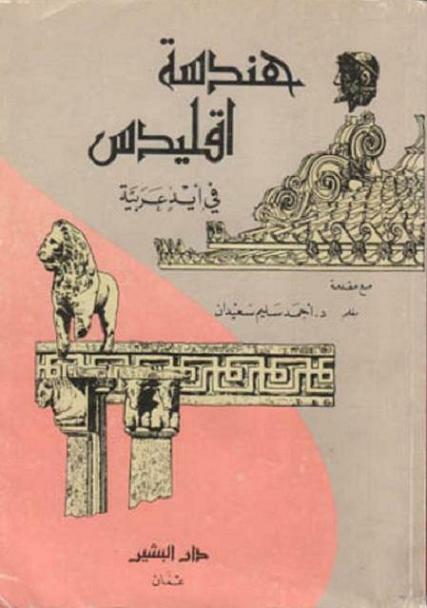 1977: "Kitab tastih al-suwar wa-tabtikh al-kuwar li-Abi ‘l-Rayhan al-Biruni al-mutawaffa sanat 440H", Dirasat (Amman: The Jordanian University) vol. 4, N° 1-2 (in Arabic). 1978: Abū al-Hasan Ahmad b. Ibrāhīm al-Uqlīdīsī, The Arithmetic of al-Uqlīdisī: The story of Hindu-Arabic Arithmetic as Told in Kitab al-fusul fi al-hisab al-Hindi written by Abu al-Hasan Ahmad ibn Ibrahim al-Uqlidisi written in Damascus in the year 341 (A.D. 952/3). Translated and annotated by A. S. Sa'īdān. Dordrecht/Boston: D. Reidel (xvii+492 pp. ; 25 cm). 1978: "Hawla khawas al-a'dad li-Abi Ja'far Muhammad ibn al-Husayn". Dirasat (Amman: The Jordanian University) vol. 5, N°. 2, pp. 7-49 (in Arabic). 1981: Marasim al-intisab fi ma'alim al-hisab li- Ya'ish b. Ibrahim al-Amawi. Aleppo: Institute for the History of Arabic Science (series "masadir wa-dirasat fi tarikh al-'ulum al-'arabiya wa-'l-islamiya, silsilat al ulum al riyadhiya", 2), 128 pp., 24 cm. 1982: "Risalatan fi ‘l-handasa tunsaban ila Arshimidis" [two treatises in geometry attributed to Archimedes]. Majallat ma'had al-makhtutat al-'arabiyya vol. 26, pp. 571-623 (in Arabic). 1983: Rasa'il Ibn Sinan [The Treatises of [Ibrahim] Ibn Sinan]. Edition of the Arabic unicum MS kept at Bankipur library (published previously in Haydarabad in 1948). Kuwait: Kuwait: The National Council for Culture, Arts and Letters; Arabic Heritage Department (series "al-silsila al-turathiya", 6), 375 pp., 25 cm (in Arabic, with English summaries). 1984: Ta'rikh ‘ilm al-hisab ‘inda I-'arab. Al-Juz' al-thalith: al-hisab fi ‘l-Andalus wa-'l-Maghrib [History of arithmetic among the Arabs. Part 3. Arithmetic in Andalus and the Maghrib]. Amman: Dar al-Furqan (series "tarikh al-'ulum ‘inda al-'arab", 3), 252 pp., 25 cm (in Arabic, with English summary). 1985: Al-takmila fi al-hisab li-'Abd al-Qahir ibn Tahir al-Baghdadi ma'a risala lahu fi ‘l-misaha. Tahqiq wa-dirasa muqarana. Kuwait: Institute of Arabic Manuscripts, 7+389 pp., 25 cm (in Arabic, with English summaries). 1985: Al-fusul fi ‘l-hisab al-hindi li-Abi al-Hasan Ahmad al-Uqlidisi. Amman: Al-lajna al-urduniya li-ta'rib wa-'l-tarjama wa-n-nashr, 1973, 536 pp., 26 cm (2nd edition 1984 (Aleppo: Institute for the History of Arabic Science, photographic reprint with a few changes; in Arabic). 1986: Ta'rikh ‘ilm al-jabrfi I-'slim al-'arabi. Dirasa muqdrana ma'a tahqiq li-ahamm kutub al-jabr al-'arabiyya [History of Algebra in medieval Islam. A comparative study, with the edition of the most important books of Arabic algebra]. 2 vols. in Arabic, paginated serially. Vol. 1 English title: Algebra in Eastern Islam. Study built upon Al-Fakhri of Al-Karaji. Vol. 2 English title: Algebra in Western Islam. A study of Ibn Badr and Ibn al-Banna. Kuwait: al-Majlis alwatani li I-thaqafa wa-'I-funun wa-'I-adab (series "al-silsila al-turathiyya", 15), 1986, 2 vols., 626 pp., 24 cm. 1991: Handasat Uqilidis fi aydin arbiya: Kitab al-'usul li-Uqlidis ma'a idhafat al-Nayrzi ma'a Kitab tajrid Uqlidis li-'Ali b. Ahmad an-Nasawi [Geometry of Euclid in Arabian hands]. Amman: Dar al-Bashir, 1991, 598 pp., 24 cm. 1960: "Hawla rasa'il al-Biruni" [On the treatises of Al-Biruni]. Majallat ma'had al-makhttutat al-'Arabiyya (Review of the Institute of Arabic Manuscripts) vol. 6, pp. 307-312. 1960: "The Rasa'il of Biruni and Ibn Sinan: A rearrangement". Islamic Culture vol. 34, pp. 173-175. 1961: "AI-Usul al-ighriqiyya li-'l-'ulum al-riyadiyya ‘inda ‘I-'arab" [The Greek roots of the mathematical sciences among the Arabs]. Majallat ma'had al-makhttutat al-'Arabiyya vol. 7, pp. 81-110 (Survey article; in Arabic]. 1962: "Al-Athar al-hindi fi ‘I-riyadiyyat al-'arabiyya [The Indian influence in Arabic mathematics]. Al-Abhath vol 15, pp. 409-477 (Detailed survey; in Arabic). 1963: "Tara'if al-hisab li-Abi Kamil Shuja' ibn Aslam al-Misri", Majallat ma'had al-makhttutat al-'Arabiyya vol. 9, pp. 291-320 (in Arabic). 1965: "The development of Hindu-Arabic arithmetic". Islamic Culture vol. 39, pp. 209-221. 1966: The Development of Hindu-Arabic Arithmetic. Ph.D. Thesis, Khartoum University. 1966: "The Earliest Extant Arabic Arithmetic: Kitāb al-Fusūl fī al Hisāb al Hindī of Abū al-Hasan, Ahmad ibn Ibrāhīm al-Uqlīdisī." Isis vol. 57, pp. 475-490. 1967: "Risalatan fi l-hisab al-'arabi" [Two treatises on Arabic arithmetic]. Majallat ma'had al-makhttutat al-'Arabiyya 13, 41-158. [In Arabic]. 1967: "Jawami' al-hisab bi ‘I-takht wa I-turab". Al-Abhath (Beirut) vol. 20, pp. 91-163, 213-292 (in Arabic). 1968: "Finger reckoning in an Arabic poem". The Mathematics Teacher vol. 61, pp. 707-708. 1974: "The Arithmetic of Abū ‘l-Wafā [al-Buzgānī]." Isis vol. 65, pp. 367-375. 1978: "Number Theory and Series Summations In Two Arabic Texts." In: Proceedings of the First International Symposium for the History of Arabic Science, April 5-12, 1976. Volume II: Papers in European Languages, edited by Ahmad Y. al-Hassan et. al. Aleppo: Institute for the History of Arabic Science, Aleppo University, pp 145-163. 1979: "The Trigonometry of Al-Bīrūnī". In: Al-Bīrūnī Commemorative Volume: Proceedings of the International Congress held in Pakistan on the occasion of Millenary of Abū Rayhān Muhammad ibn Ahmad al-Bīrūnī (973 - ca 1051 A.D.) (November 26, 1973 thru' December 12, 1973), edited by Hakim Mohammed Said. Karachi: Hamdard Academy/The Times Press, pp 681-690. 1979: "The Arithmetic of al-Uqlidisi". Isis vol. 70, pp. 615-617. [1970-1980]. Dictionary of Scientific Biography, edited by Charles G. Gillipsie, (New York: Scribners, 15 vols + supplement): entries "Kushyar (vol. 7, pp. 531-533); al-Nasawi (vol. 9, pp. 614-615), al-Qalasadi (vol. 9, pp. 229-230), al-Umawi (vol. 13, pp. 539-540), al-Uqlidisi (vol. 13, pp. 544-546), al-Baghdgdi (vol. 15, pp. 9-10). 1980: "Magic Squares in an Arabic Manuscript." Journal for the History of Arabic Science vol. 4, pp. 87-89. 1983: Qisat al-arqam wa-'l-tarqim [The story of numbers and numeration]. Amman: Dar al-Furqan, 92 pp., 17 cm (in Arabic). 1984: "Tathlith al-zawiya fi ‘I-usur al-Islamiyya [Angle trisection in the Islamic period]. Majallat ma'had al-makhttitcit al-'Arabiyya vol. 28, pp. 99-137 (in Arabic). 1987: "The Takmila fī ‘l-hisāb of al-Baghdādī." In: From Deferent to Equant: A Volume of Studies in the History of Science in the Ancient and Medieval Near East in Honor of E. S. Kennedy, edited by David A. King and George Saliba. New York: Annals of the New York Academy of Sciences, Vol. 500. New York: New York Academy of Sciences, 1987, pp. 437-444. 1988: Muqaddima li-ta'rikh al-fikr al-'ilmifi I-Islam [Introduction to the history of scientific thought in Islam]. Kuwait: National Council, for Culture, Arts and Literature, series ‘Alam al-ma'rifa, N° 131 (in Arabic). 1991: "Al-Riyadhiyat bayna al-mashriq wa ‘l-maghrib al-islamiyyayn [Mathematics between the Islamic East and West] (in Arabic with French summary). In: Deuxième colloque Maghrbin sur l'histoire des mathématiques arabes, Tunis, 1988. Tunis: Université de Tunis I, pp. 7-23 (in Arabic). 1991: Muta' al-tafkir [The enjoyment of thinking]. Amman: Dar al-Tanwir (in Arabic). Subtitle of the book: "Problems, puzzles and arithmetical games for young and old persons". Book of riddles and problems taken from Arabic mathematics. "The Algebra and Arithmetic of al-Khwārizmī, Muhammad ibn Mūsā.". In: Proceedings of the International Symposium on Ibn Turk, Khwārezmī, Fārābī, Beyrūnī and Ibn Sīnā: (Ankara, 9-12 September 1985), edited by Aydin Sayili. Ankara: Atatürk Cultural Center, 1990, pp 273-279. 1996-1997: "Numeration and Arithmetic". In: Encyclopedia of the History of Arabic science, edited by Roshdi Rashed. London: Routledge, vol. 2, pp 331-348. French translation: "Numération et arithmétique", Histoire des sciences arabes (Paris: Seuil, 1997, vol. 2: pp. 11-30. Arabic translation: "Al-a'dad wa-'ilm al-hisab", Mawsu'at tarikh al-'ulum al-'arabiya, Beirut, 1997, vol. 2, pp. 443-462. 2000: "Al-Biruni on trigonometry." In: Science in Islamic Civilisation: Proceedings of the International Symposia: "Science Institutions in Islamic Civilisation", & "Science and Technology in the Turkish and Islamic World", edited by Ekmeleddin Ihsanoglu and Feza Günergun. Besiktas, Istanbul: Research Centre for Islamic History and Culture, 2000, pp 167-178. Euclid (300 BCE): Arabic translation of the Elements (Kitab al-Usul), attributed to al-Hajjaj ibn Matar, MS Leiden, 399/l. Pseudo-Archimedes [texts attributed to Archimedes in Arabic learning]: 1. On tangent circles; 2. Principles of geometry. Abu Kamil (9th century): Curiosities of arithmetic. Thabit ibn Qurra (836-901): 1. On amicable numbers; 2. Letter to Ibn Wahb on how to proceed in the derivation of the construction of geometrical problems ; 3. Trisection of the rectilinear angle. Ibrahim ibn Sinan (909-946): 1. On the notions he derived [i.e., the works he composed] in geometry and astronomy; 2. On drawing the three conic sections; 3. On the measurement of the sufficient conic section [i.e., the parabola]; 4. On the method of analysis and synthesis and the other geometrical operations; 5. The selected problems; 6. On the motions of the sun; 7. On the astrolabe. Yuhanna ibn Yusuf al-Qass (early 10th century): Treatise on rational and irrational magnitudes. Abu Ja'far Muhammad ibn al-Husayn al-Khazin (early 10th century. ): 1. Letter to ‘Abdullah al-Hasib on he proof of the fact that the sides of two squares, of which the sum is a square, cannot both be odd; 2. Derivation of two mean proportionals between two lines by means of fixed geometry. Al-Uqlidisi (10th century): Chapters on Hindu arithmetic. Abu ‘I-Wafa (10th century): On the science of arithmetic necessary for scribes, workers and others. Al-Sijzi (10th century): 1. On facilitating the methods for the derivation of geometrical propositions (fi tashil al-subul li-stikhraj al-ashkal al-handasiyya); 2. Derivation of the two mean proportionals and trisection of the angle by the method of geometry; 3. an untitled treatise on the hyperbola and its asymptotes. Al-Kuhi (10th century): Trisection of the angle. Kushyar ibn Labban (10th century): Principles of Hindu reckoning. Al-Nasawi (ca. 1000): Abstract (tajrid) of the elements of geometry. Al-Karaji (ca. 1000): 1. The suficient (kafi) in arithmetic; 2. Al-Fakhri book in algebra; 3. Reasons of the calculation of algebra ( ‘ilal hisab al-jabr wa-'I-muqabala). Abd al-Qahir al-Baghdadi (died 1037): 1. Perfection in arithmetic; 2. On measurement. Al-Biruni (972-1048): On the projection of constellations and making spheres plane (tastih al-kuwar wa-tabtih al-suwar). R. Al-Qummi (10th-11th centuries): On the possibility of finding the two lines which always approach and do not meet (the hyperbola and its asymptotes). Al-Shahrazuri (11th-12th centuries): Commentary on al-Karaji's The suficient in arithmetic. Nasir al-Din al-Tusi (1201-1274): Comprehensive treatises on arithmetic with board and dust. Ibn al-Banna al-Murrakushi (1256-1321): 1. Treatises on arithmetic; 2. Algebra. Ibn Badr (ca. 1311): Summary of algebra (Ikhtisar al-jabr wa-'I-muqabala). Ya'ish ibn Ibrahim al-Umawi (15th century): Rules in the science of arithmetic (Marasim al-Intisab fi ma'alim al-hisab). Al-Irbili (date unknown): The sufficient (Al-Kafi). ‘Ali ibn al-Maghribi (date unknown): Poem on finger reckoning. Anonymous (9th-10th centuries): Treatise on the fact that every continuous [quantity] can be divided into things that can be divided indefinitely (edited from MS Paris 2457/42). 1987 : Qamus al-mustalahat al-riyadhiya al-ibtida'iya: muhawala tarikhiya [Lexicon of the primary mathematical terms: historical essay]. Amman: The Arabic Academy of Jordan, 1987; reprinted 1997; 63 pp., 24 cm. "Al-lugha al-'arabiya wa-'l-manhajiya al-'ilmiya al-mu'asira" [The Arabic language and contemporary scientific method], Majallat Majma' al-lugha al-'arabiya, vol. 65, pp. 132-140. Ahmad Djebbar, "Hommage à deux historiens des sciences, Sa'īdān et al-Manūnī." Actes du 7e Colloque maghrébin sur l'histoire des mathématiques arabes (Marrakech, 30 mai-2 juin 2002). Edited by Abdallah El-Idrissi and Ezzaim Laabid. 2 vols. Marrakech: École Normale Supérieure/al-Wataniya, pp. 15-22, 2005. Jan P. Hogendijk, "Bibliography of publications of Ahmad Salīm Sa'īdān (1914-1991) on the history of mathematics and astronomy in Islamic civilization, and list of medieval Arabic texts published by him". Historia Mathematica vol. 19 (1992), pp. 439-443. Jarrār, Khālid Ahmad, Al-Duktur Ahmad Salīm Sa'īdān: Mukhtārāt min intājihi al-fikrī. Amman: Dar Majdalaoui, 1422-2002, 511 pp., 24 cm. Rosenfeld, Boris R., "In Memoriam: Abmad Salim Sa'īdān (1914-1991)" Historia Mathematica vol. 19 (1992), pp. 438-439. Abattouy, Mohammed, L'Histoire des sciences arabes classiques: une bibliographie sélective commentée. Casablanca: Publications de la Fondation du Roi Abdulaziz pour les Sciences Humaines et les Etudes Islamiques, 2007. Section "Mathematics", pp. 61-85. Al-Hassani, Salim, Chief Editor, 1001 Inventions: Muslim Heritage in Our World. Co-editors: Elisabeth Woodcock and Rabah Saoud. Forward by Sir Roland Jackson. Manchester: FSTC, 2006, pp. 64-71. Ayyubi N. Akmal Contribution of Al-Khwarizmi to Mathematics and Geography. Burnett Charles, Leonard of Pisa (Fibonacci) and Arabic Arithmetic. Carmody, Francis J., Arabic Astronomical and Astrological Sciences in Latin Translation: A Critical Bibliography. Berkeley: University of California Press, 1956. Djebbar, Ahmed, Mathematics in the Medieval Maghrib: General Survey on Mathematical Activities in North Africa. FSTC, Al-Karaji (d. 910 to 929). FSTC, Sine, Cosine and the Measurement of the Earth. FSTC, Mathematics in Muslim Heritage. FSTC, Muslim Founders of Mathematics. FSTC, A Discovery in Architecture: 15th Century Islamic Architecture Presages 20th Century Mathematics. FSTC, Al-Khawarizmi (780 - 850 CE). FSTC, Abu Kamil Al-Hâsib Al-Misrî (850 - 930). FSTC, Ahmed ibn Yusuf ibn Ibrahim ibn Al-Daya Al-Misrî (d. 912). Ghani, Mahbub, The Science of Restoring and Balancing – The Science of Algebra. Ghani, Mahbub, Hail the Queen of Mathematics! Hogendijk, Jan P. Editions and translations of medieval Arabic texts by J.P.Hogendijk. Hogendijk, Jan P. (January 1999). Bibliography of Mathematics in Medieval Islamic Civilization; PDF version: click here. King, David A., Catalogue of Medieval Astronomical Instruments until ca. 1500. King, David A., Bibliography on Islamic astronomy in the ninth and tenth centuries AD. Kunitzsch, Paul, Al-Hassâr's Kitâb al-Bayân and the Transmission of the Hindu-Arabic Numerals. Lorch, Richard, "Bibliography on the transmission of the mathematical sciences from Greek to Arabic to Latin". Science in Context [Special issue on "Greek-Arabic-Latin: The Transmission of Mathematical Texts in the Middle Ages"] vol. 14 (2001), pp. 313-331. Mawaldi, Mustafa, Glimpses in the History of A Great Number: Pi in Arabic Mathematics. Nasr, Seyyed Hossein (with the collaboration of William C. Chittick). An Annotated Bibliography of Islamic Science, Vol. 1. Tehran: Imperial Iranian Academy of Philosophy, 1975. Oaks, Jeff, Bibliography By Topic of the Mathematical Sciences in the Medieval Islamic World by Jeff Oaks (University of Indianapolis). O'Connor, J. J., and Robertson, E. F., "Arabic Mathematics: Forgotten Brilliance? ", online on MacTutor History of Mathematics. Rosenfel, Boris A. and Ekmeleddin Ihsanoglu. Mathematicians, Astronomers, and Other Scholars of Islamic Civilisation and their works (7th-19th c.). Istanbul: Research Centre for Islamic History Art and Culture (IRCICA), 2003 (833p. ; 30 cm; pp. 513-739 contain an extensive bibliography ordered by author). Sayili, Aydin, Logical Necessities in Mixed Equations by Abd Al-Hamîd Ibn Turk and the Algebra of His Time. Tekeli, Sevim, Taqi al Din Ibn Ma'ruf ‘s Work on Extracting the Cord 2o and Sin 1o. [Wikipedia] Mathematics in medieval Islam. *Professor of History and Philosophy of Science, Mohammed Vth University, Rabat. Senior Research Fellow, Foundation for Science, Technology and Civilisation (FSTC), Manchester, UK. Chief Editor: http://www.MuslimHeritage.com. The factual information presented in this short biography is based on scattered passages of Sa?īdān's publications and on Boris A. Rosenfeld, "In Memoriam: Ahmad Salim Sa'idan", Historia Mathematica vol. 19 (1992), pp. 438-439. Boris A. Rosenfeld, "In Memoriam: Ahmad Salim Sa'idan", op. cit., p. 439. This list (ordered chronologically according to author) if part of "Bibliography of Publications of Ahmad Salim Sa'fdan (1914-1991) on the History of Mathematics and Astronomy In Islamic Civilization and List of Medieval Arabic Texts Published by Him, Compiled by Jan P. Hogendijk", Historia Mathematica vol. 19 (1992), pp. -439-443; at pp. 442-443.